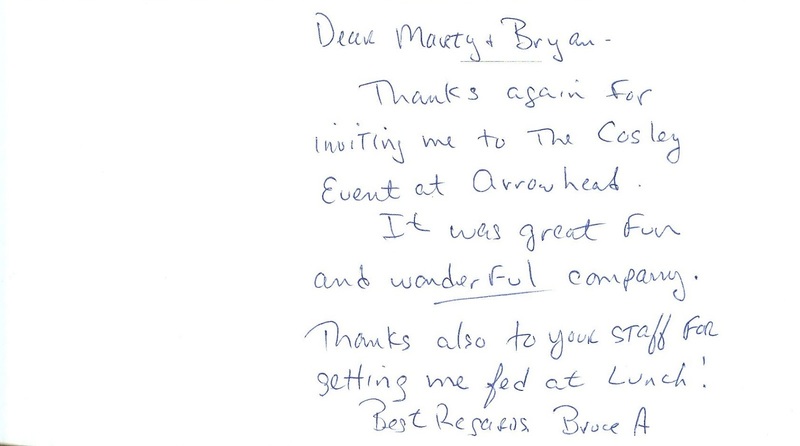 Every year we provide lunch for the Cosley Classic Golf Outing at Arrowhead that raises money for the local zoo. Although neither Dr. D or myself are avid or even decent golfers we always take 2 foursomes of patients and “compete”. We have manged to win best dressed a few times but that is all. Thanks Bruce! It is always a blast!